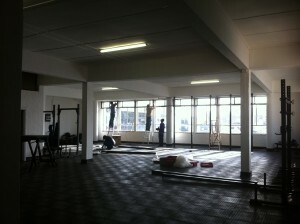 CCF in Gardens adds a new room of 300sqm! Finally the final preparations have been made and we are ready to start using the new space in full! This means that we can run two big classes at once, we can have 25 people hanging from our pull up bars at the same time, or why not indulge in some 30 meter Sled Pulls or Resistance Sprints? The possibilities are endless. We are changing the structure for the Advanced Program! To make sure that all the most competitive CCF Ninjas push each other on the as much as possible we move in to one of the bigger room and run ONE bigger Advanced Class Monday - Thursday at 6.30pm! At the same time we are allowing for an open gym structure, where we still expect you to stay with the Advanced Program but also will be allowed to work more on individual skill work when needed and wished for. Gymnastic progressions as your home work? Extra conditioning training in the morning? Go ahead, Coach Chris will gladly sit down and assist you in making an individualized program when wished for! These times, the gym is open for Advanced Athletes**, we call it "Freedom under responsibility": ** Requirements: minimum of 2 coached classes per week, minimum 3 months experience as an Advanced Athlete. Monday - Thursday: 5-6.30pm*, 7.30-8pm* *In combination with the Advanced Class at 6.30pm. The 5.30pm slot is now turned into a double class in the shape of one big class! Coach Chris will be joined by one of the other Main Coaches in turning this into a huge community vibe class with up to 24 spots up for grabs. Structure will still allow it for the full "Personal Coaching in group" experience, try it out and let us know what you think! More Skill Sessions to the People!